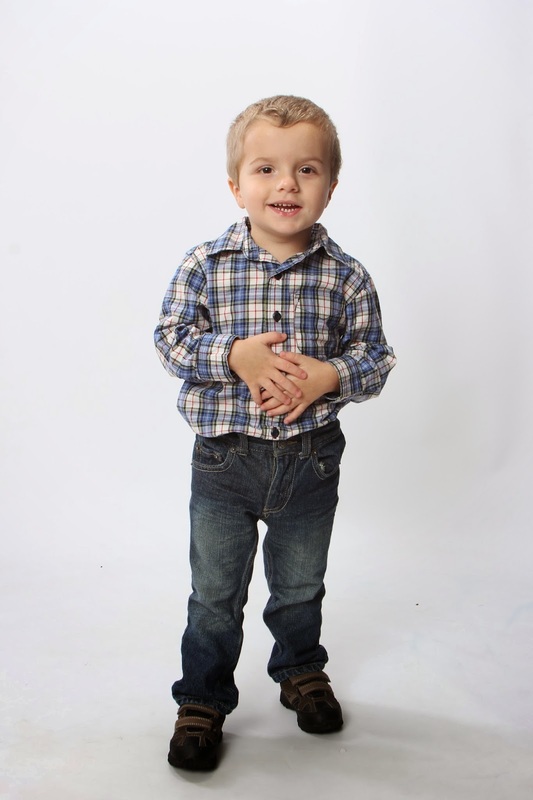 I wrote this post about my little James, and with all of our research over ways to help him... we've learned that there are food additives that can trigger hyperactivity as well as gluten. So we are in the process of moving our diet over to being a healthier, all natural as much as possible, and gluten free as much as possible plan. I say "as much as possible" because we aren't going to restrict them from going to events and things -- plus when it is absolutely necessary we will allow them to have things on the go while doing the best we can. If fast food is needed, we would prefer it to be Chick-Fil-A where at least it is real chicken. We tend to eat at home most often than not anyway, and thankfully most restaurants have some good gluten free options these days. We just decided that it's easier to remove it for all 4 of us than it would be to explain to James why he would have to eat differently, Lord knows it can't hurt any of us. 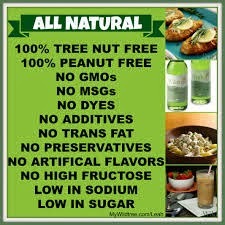 While I was researching, I found a company that makes foods that fit into this category - a good number of them are gluten free, but they are clearly marked with any potential allergens. Right there -- this is for every product they make. Which is a GREAT thing. I'm also looking for a hostess of the month to join along with me, and earn rewards in the process. You can host a freezer meal party, a tasting party where I provide samples for the food and your friends can come taste for themselves, or you can even have a virtual party. 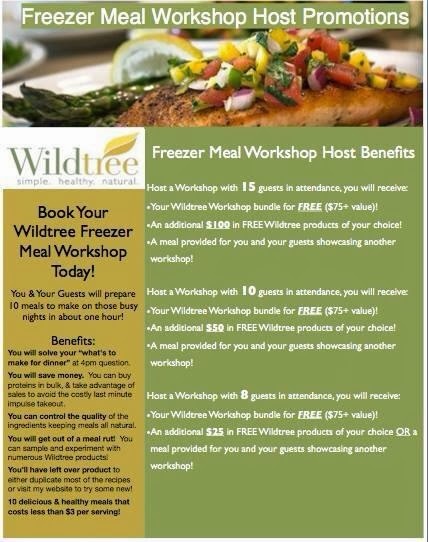 The freezer meal plans are where you buy a bundle of products can can do make at least 10 meals at about $3 a serving! Which also makes it easy and affordable. I tried a different menu, and loved it -- so I'm trying this one next. I've got a friend hosting a party for this menu that closes out on Friday -- so let us know if you might be interested in doing this in the comfort of your own home. It is $75 for the product bundle, and then once that is purchased - you'd get a detailed grocery list of the few additional things needed as well we detailed instructions on how to prepare for your menu to stock your freezer. Once you purchase the bundle for the freezer meal, you'd also be eligible to get either of these bundles at 50% off as an additional item. Basically if you spend $50 you can get one of them at 1/2 price or if you spend $100 you could get both of them at 1/2 price. This is what my original freezer meal kit included (except the cranberry juice peaking in the pack ground) -- I included this photo just so that you can see you are getting full sized products that in most cases will make the meals listed above twice. 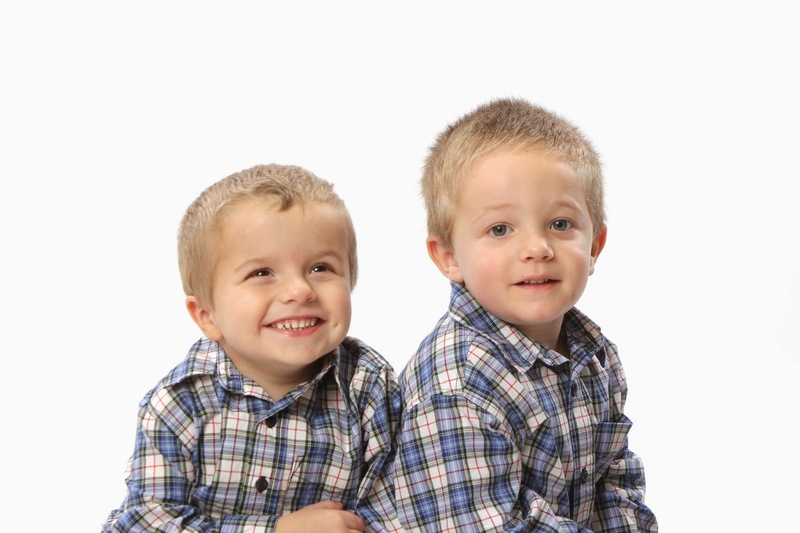 I'll also say that the grocery list comes with some additional recipes that you can use the products in, and since our kids are still small -- we were able to make some of the meals stretch farther. I made 14-16 meals out of the 10 because we just couldn't eat 2lbs of meat in one meal, so I took them and split them in two different bags. 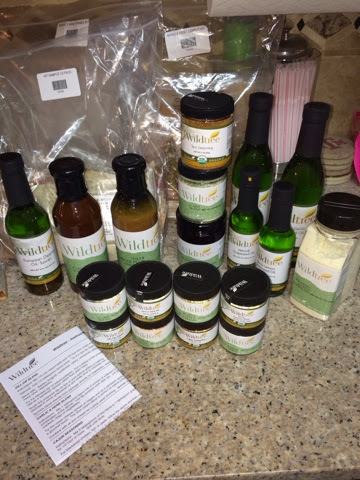 I fell in love with these products so much that I decided that I need to sell them, they are that good. I also wanted to be able to get a discount on the products that I will be buying anyway. 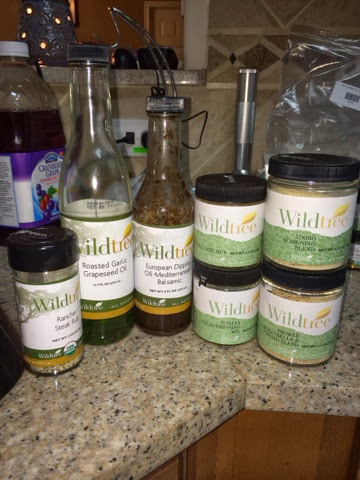 This is what I got in my Wildtree kit, and I'm thrilled to be able to start cooking with them! If you have any interest in joining in my fun new business - you should know that this opportunity is very new and there are only 23 teams in the country... which means that the growth opportunity is incredible. 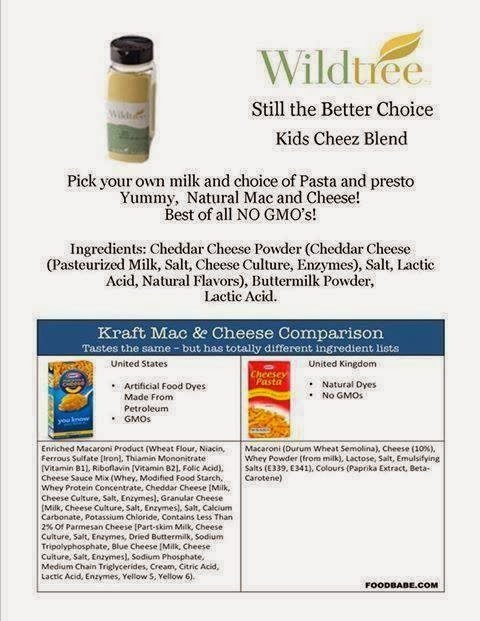 Come join in the fun sharing these items with other foodies and enjoy knowing that your family is getting the best they can get!